So today I learnt a new word in Maltese which probably isn’t used that often nowadays except for expressing surprise/frustration and a number of other emotions. “Marella (singular) / Marelli (plural)” is the Maltese equivalent for skein/s. For some reason, I thought skeins was the technical name for balls of wool but today, after finding some more of the wool I need for a project, my mum asked me whether it was in balls or in skeins (see, I now know the difference!). Since I had never heard the word “marelli” in this context before, I stopped for a few seconds, stared at my mum and said, “What? !” I thought I’d misheard her but she repeated the same thing and needless to say, I was even more confused! She then proceeded to explain what it was and me being a Translation Studies student, I was very pleasantly surprised. 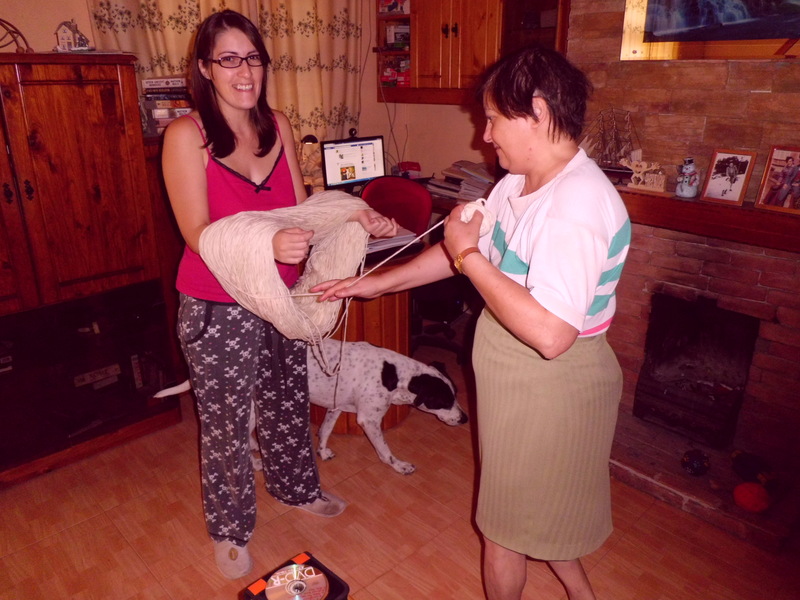 Anyway, we got about 6 balls out of this skein which is more than enough for my project (to be posted much later).